Sarah Smiley is the author of a syndicated newspaper column and four memoirs: GOT HERE AS SOON AS I COULD, DINNER WITH THE SMILEYS, I’M JUST SAYING, and GOING OVERBOARD. 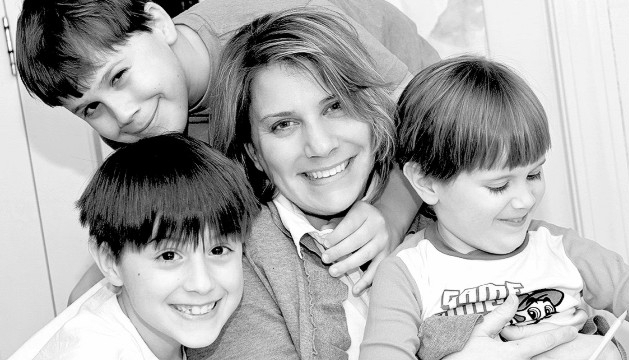 As a military wife and mother to three sons, Sarah writes frequently about motherhood and life in the military. Over the last 16 years, she has also received attention and praise for her columns about depression, politics and life in Maine. Sarah has been featured in Parade Magazine (Mother’s Day cover feature), The New York Times Magazine (“Confessions of a Military Wife“), O Magazine, GoodHousekeeping, Military Spouse Magazine (cover feature) and Newsweek. She has been featured on the Today Show, Katie Couric, Nightline, CNN, CBS The Early Show, Fox News and MSNBC.